Haircare is very important regardless of whether you have natural hair, a hair piece, or a full wig. Keeping a clean scalp and hair is not only good hygiene but it will elevate your mood and put that extra boost in your step. We all feel better when we look better. I know that when I have my hair done I am walking around the next couple of days swinging my hair. Why shouldn’t we have that feeling on a daily basis? Her are a few pointers on how to get that feeling at home. Eeny, Meeny, Miny, Moe….Which products should I choose? I am a firm believer in using professional haircare products. Yes, I have heard the stories that they are made of the same stuff as the grocery store brands, but I know the difference in the way my hair feels when I use grocery store brands. Do I think you have to pay upwards of $20 for a 16oz bottle of shampoo? NO, but I believe there is a difference. There are plenty of places to buy a better quality of shampoo and conditioner for a reasonable price. But I digress…What this comes down to is get yourself a good shampoo and wash your hair every two to three days! It will keep your hair and scalp in better condition, which in turn will give you a healthier look. I feel the same way about hair pieces and wigs; after you wear them about every 5 to 10 times (depending on your activity level) you need to wash and condition them. It will extend the life of your product and it’s crucial that you use products made for them. You need to use product made especially for the fabric, extending the life of the fabric. Colorado is an extremely dry climate, so 99% of us need to condition. Does it repair your hair? No. Your hair is made of dead protein and you cannot repair something that is dead, but you can make it feel better. Most conditioners are made to close the cuticle layer of your hair that is what gives you shine and manageability. The texture of your hair and desired result will dictate what product to use. I always recommend using something on every head of hair because you just don’t get any type of professional salon look without professional salon products. In addition, most of us use some sort of heat in styling so it’s important to buffer the heat and prevent damage to your hair. 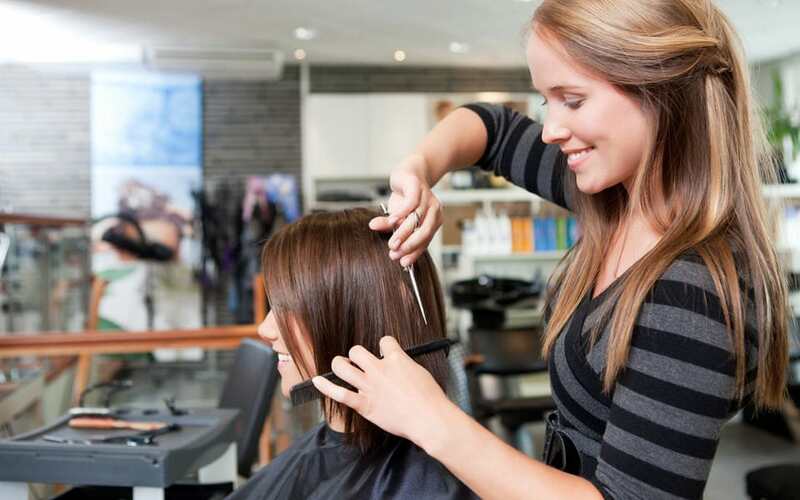 Blow dryers, brushes, flat irons, curling irons; is there a difference? Once again, yes. Do you need a $200 blow dryer or flat iron? No, but you do need one where you can control the heat, which is uber important. How you control the heat will create the desired effect. Brushes are now made with special silicones that help you pull the cuticle layer tight and when your hair lays flat it reflects light and creates shine. So how do you get that look and feel of a salon hair-do? Shampoo twice, condition once, and apply the appropriate styling aid. It is critical to use your dryer to get 90% of the moisture out of your hair before using a brush. Everyone thinks that when their hair is dry, it’s done. But this is when you actually finish your hair. Brushes are your finishing tools NOT your starting tools. It puts too much stress on the hair to pull it with a brush when it’s really wet. To get shine it is imperative that when you think you are done with your brush you give it a few more rolls; this is where the magic happens. The cuticle will snug down on the hair shaft and, voila, shine!